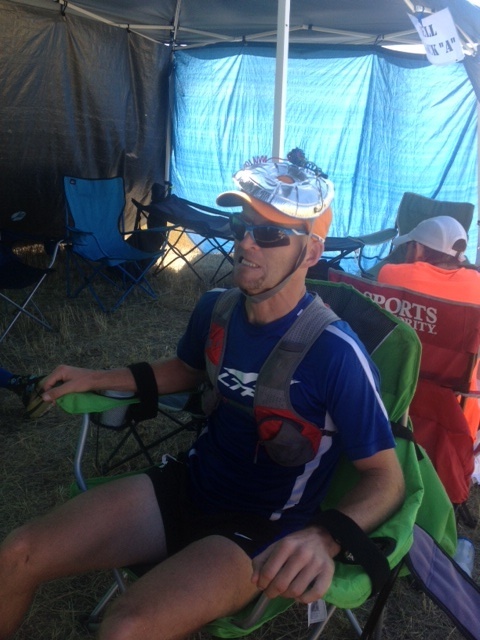 Pacing Buffalo 100: I paced Craig at the Buffalo 100. His report is here. My report is here. I had hoped to pace the entire last 50 miles, but I had a lingering knee injury and left him with 12 miles to go. It was peaceful on that island, and I hate to admit that while it was cold and miserable... looking at the city lights and stars reflected on the water at 3am with nothing but silence and darkness around has become one of my "peaceful places" that I return to mentally. Zion's Traverse fun run: I went with my OG's (original gangsters) for what was simply the funnest run of the year. We went slow, shared a lot of laughs, and took a lot of pictures. I love every opportunity to glean wisdom from my mentor in running, Jim. Report is here. Bryce 100: This was my first 100 mile attempt. It was all my first DNF. I learned a lot, loved a lot, and overall, had a great day. My dad and husband came out to crew me, it was such a pleasure to see them throughout the day. Also special thanks to Jacob and Leslie for taking the time to come out and pace me. My race report (and video) are here. Pacing Tahoe Rim 100: I had an opportunity to go out to the Tahoe Rim 100 with friends. Carrie was racing the 50 mile and Jim the 100. It was a pleasant weekend away, and I was even able to link 3 summits and go for a swim the morning before I paced. Jacob, Cheryl and I helped crew both Carrie and Jim (it was 110F at the ski resort at mile 30!) and I started pacing Jim at the 50 mile mark. Carrie ran in strong even with a broken foot! Incredible finish for Jim, with record highs and record DNF rates. Timmy Olson- He came bounding down the switchbacks (visible to the finish but still a mile to go) and quickly caught up to the competitor in front of him, who was not moving well. Instead of passing him with a 1/4 mile to go, Timmy hung back, chatted with him, and then at the finish, stepped one step behind him. He could've had 6th place easily, but instead didn't want to give someone else that awful defeat of getting passed so close to the finish line. By far the classiest thing I've ever witnessed at a race. I hung around all day to watch all my friends finish. With a bit of a time crunch I was worried I wouldn't get to see Jim finish. When I saw him coming down, I settled my kids at the finish to hike up and run it in with him. He teared up a bit when he saw me, and I felt flattered. It was so nice to be able to run in with him, and witness that accomplishment especially when it was only a week after his last tough 100 miler. camping @ Quest for King's Marathon: I didn't get to run this, but went up with my kids to camp and hang-out and watch the others. Craig's parents even offered to watch my boys so I could run an hour (my kids want to adopt them as Grandparents). It was fun to camp with my kids while my husband was busy with OR. Utah Triple Crown: With the OR show over, Ben and I took the kids on a week-long camping/hiking/fishing trip in the Uintas. It rained (literally) Every. Single. Day. Ha! But we had a blast snuggling, playing card games, and fishing. I snuck away for a day to run the Utah Triple Crown, and Craig was kind enough to play tour guide. Jim also came up one of the days and joined me for a recovery run. Report and video are here. Timp Repeats: Read the report here. I think I'm still a little bitter. I WORE A PONCHO FOR 8 HOURS! lol. :) It was amazing the support I received in this endeavor. Thanks to Scott who came and ran the first 2 laps with me, Jen and Jacob who "stopped by" to say hi, and Jim who came just as I was giving up, prepped to run. Also thanks to Matt Van Horn, who didn't get the memo I had bailed and went up looking for me! 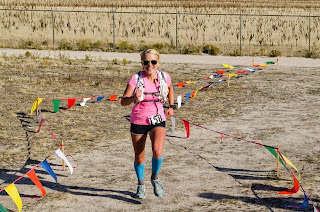 Pacing Wasatch 100: So fun to pace both Craig and Jim at Wasatch this year! What fun! I love to see my friends do incredible things. While no one got their goal time (super hot year!) it was nice to be able to help them finish and move forward, regardless of conditions. I wrote a pacing report here. Idaho Mountain Festival: This was the 2nd annual IMF, which my husband and I co-direct. I primarily manage the races and the meals, and Ben gets to manage everything else! We had so much support from friends and family (and friends that are family!) and this year not only ran smoother than the last, but it was way more fun! Learn more about the Idaho Mountain Festival here. volunteering @ Mountain View Trail Half Marathon: I had the opportunity to run an aid station at this 1/2 marathon. What made it more fun was getting to snuggle my friend Marty's newborn in a carrier while I did it! Marty was able to rock the course (faster than I'm sure I could) and it was fun to go out there and help and hang out. 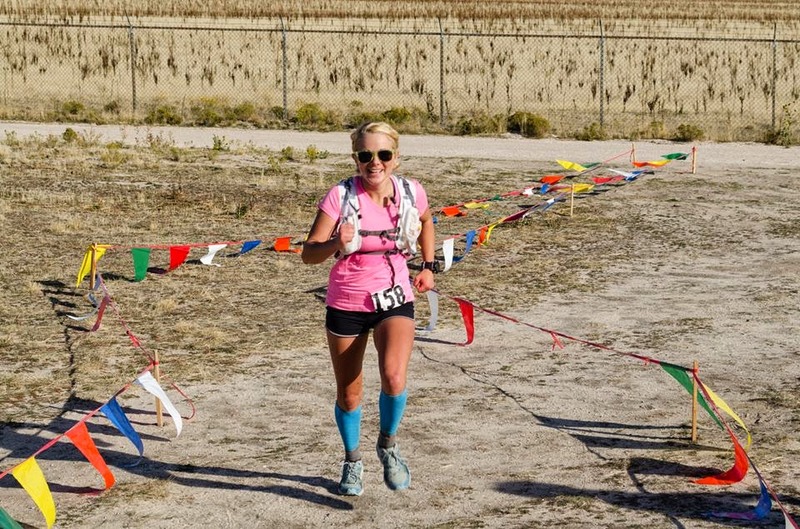 Antelope Island 100k: I decided (last minute) to do this race as a long training run for the upcoming white rim. It was fun to PR my 50 mile in the process. Jim came out and crewed for me. I will never underestimate how mentally helpful it is to have someone at a race there supporting you. It is, mentally, a huge boost. Also nice that my co-worker and chiropractor Dr. Duncan and his family came out just in time to see me finish! My race report is here. White Rim 100: With the support of an amazing crew, I was able to finish my first 100 miler. My husband Ben and friend Matt ran an incredible support car and team, keeping me going and taking care of my needs. Craig came out to pace me, and was critical to my finishing the last 15 miles in the awful state I was in. My report is here. What an action-packed year! I am blessed to have made such incredible friends. I have circles of friends to run with, as well as the virtual support of many more. How lucky am I? Thank you! I love the give and take in ultras, helping others achieve their goals and also needing to rely on those same friends to achieve my goals. I hope no one is shy to ask me to crew or pace, I love to help at races much more than I like racing! :) I look forward to next year! I've got a few tricks up my sleeve... Which I'll jot down later. What an awesome year (and awesome pictures) you've had! It's been fun to follow your adventures, and I loved running with you guys down here. I hadn't heard that story about Tim Olson. My respect for him just grew even more. Cool recap. What a great series of adventures this year. Always enjoy reading your recaps and seeing your photos. What you called a "quick morning run" before the Grandeur Fun Run, I called a Fantastic Mountain Adventure in BCC. :-) You had a great year and I loved getting to tag along for part of it. You are gonna go places, of that I have no doubt. Can we trade lives? Sounds like you had a fabulous year. Great photos! Very inspiring to hear about yours and your friends' adventures.